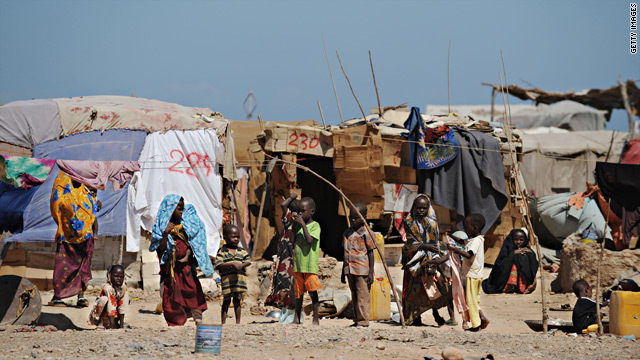 The World Food Program estimates that more than 1 million people in southern Somalia have been left in peril because of recent threats and militant attacks. (CNN) -- Recent threats and attacks from militant groups have made it almost impossible for the World Food Program to get food to hungry people in southern Somaila, the aid agency said Tuesday. The actions by militant groups have led to a partial suspension food distribution in much of southern Somalia, the agency said in a statement. This has left more than 1 million people in the area in peril, the United Nations food agency said. "WFP is deeply concerned about rising hunger and suffering among the most vulnerable due to these unprecedented and inhumane attacks on purely humanitarian operations," the agency said in a statement. One of the recent threats to the food agency occurred in late November when Islamist militants in Somalia warned the agency to buy food from Somali farmers or stop sending aid to the impoverished African country. That threat came from al-Shabaab, a group that has waged a bloody insurgency against the U.N.-backed government of transitional President Sheikh Sharif Sheikh Ahmed. Four of the agency's staff members were killed in Somalia between August 2008 and January 2009. Despite difficulties in southern Somalia, the agency says it is still dispensing food in the capital city Mogadishu and several other areas. The agency says it is still able to reach more than 60 percent of those in need or about 1.8 million people.